Flush with funds after demonetisation, State Bank of India has trimmed its lending rate to revive credit demand. 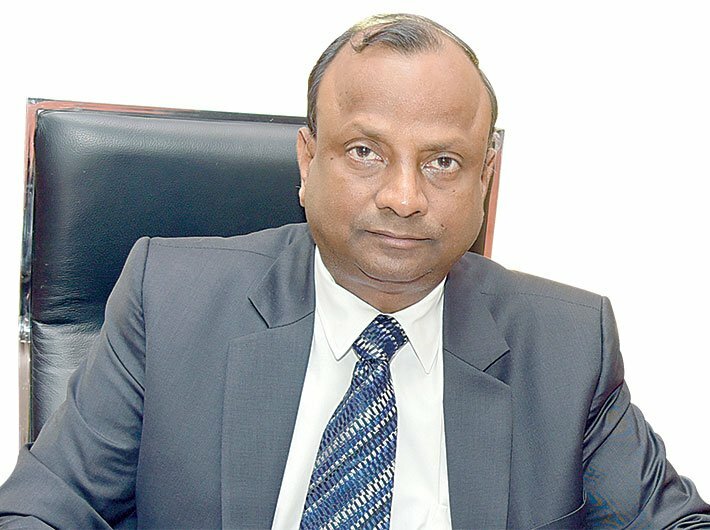 In an interview with Geetanjali Minhas, Rajnish Kumar, managing director (national banking group), SBI, explains how the bank plans to steer its way now. Because of demonetisation there has been a good growth in deposits. Deployment of funds and credit growth would now be the biggest challenge before the banks. Out of the deposits we have received, some will go out because these are mostly in CASA (current account, savings account) and as the currency with public increases, there will be an outflow of these deposits. A lot of money has also been deposited in loan accounts and YoY credit growth is the lowest in decade. So how do we push that growth without compromising on the quality of lending? This will be a challenge before the banks. As per your own report, credit growth was low at 5.1% as on December 23. All banks have reduced individual lending rates steeply but there is no guarantee for credit growth from corporations, which is crucial to recapitalisation of banks. Retail credit growth was always good and since November at SBI we were going at 20% YoY but the corporate credit pickup was low. The reason is that the capacity of the private sector to invest has been seriously impaired due to NPAs. But this was being made up by growth in the retail sector. Ideally, this should be a temporary dip. Post demonetisation credit growth in the retail sector is expected to come back because change or decline in interest rates is very steep. SBI itself has reduced the interest rates by 90 bps. If you look at home and car loans, these have become attractive and should give push to the demand. I’m hoping that the builder community will also make prices reasonable. As far as the corporate credit growth is concerned, we are expecting the budget to give a good push to infrastructure sector coupled with the fact that taxation on corporates and individuals may be made moderate. If the budget is growth-oriented and infrastructure investment of the government goes up, it may give push to many sectors and we may see a demand for funds. But as of now there are no large projects which can consume huge amount of credit. You said banks are flush with funds but their balance sheets are stressed with NPAs and they are unable to lend aggressively. The demand for credit is not much. There was a time when there was a strong pipeline for project capital. Even if there is demand, from the renewable energy or road sector, it is for relatively smaller projects. Because the competitive prices were down the working capital requirement demands were also not very good. Another thing that we keep in mind when it comes to corporate funding is that a lot of deleveraging and disintermediation is happening for the corporates, because growth is followed by corporate borrowings by way of commercial borrowings or corporate bonds where there is very decent growth. So the corporate sector borrowing is rebalancing. It is a combination of all these factors. With demonetisation a lot of money also came in the loan accounts, apart from deposit accounts. This is a temporary phase and going forward, hopefully, there will be a push for growth in the infrastructure sector. The consumption in India has by and large been intact even with some temporary setback due to demonetisation. The currency in system should hopefully return to normal by February-end or mid-March. We are making every effort to ramp up our loan book. Recent reports suggest that Rs 80,000 crore has come back to the banks towards repayment of loans. Will this impact the borrowers as this could also mean they had the money but were withholding repayment of loans? That is not the right way of looking at it. More than Rs 50,000 cannot be held in current account due to restrictions in place. In many industries, like rice mills, there is an inflow. All their collections across the country would have flown into accounts and on the supply side there was always a cash payment component. The system is yet to adjust where all payments by the rice mill would be made to farmers, suppliers, etc. by way of cheque or online payment. This readjustment is happening and that is why there is a decline in their balances with the banks. But as the cash flow situation improves, the restriction will be removed and the real picture of borrower accounts will be there. But the money which has come into NPA accounts is of course a welcome for the banks. How are you going to use the surplus money? Right now it is invested in treasuries and the Reserve Bank of India. As I mentioned, part of it will be withdrawn. There will be a lot of outflow over the next two-three months as the currency required by people is not there in the system. The other is of course the effort to push the loan book. There is always a balance between the currency with the people and demand deposits, which is essentially CASA. In three months, the story will be very different and deployment will be on credit side. There is a lot of criticism that RBI is not divulging details of bank-wise cash supplied to states. We are regularly receiving supply of currency from the RBI. There is some demand-supply gap but not as much as it used to be. Apart from that, deposits of new currency have also started flowing back to the system. At SBI, 40% is public deposits and 60% is RBI supplies. Other than security reasons, there should not be any other problem. Mints too have their own printing capacity. Moving the cash itself has its own logistics. Now there is a lot of improvement and the supply of Rs 500 notes has been considerably augmented. As the currency with public keeps on increasing, it has already crossed Rs 10 lakh crore. Our debit card spread which used to be in the range of Rs 170 crore is now averaging Rs 650 crore. Transactions on our POS terminals have crossed nearly Rs 350-400 crore. Also, there is a shift to digital transactions. Even now the situation is different geographically and the focus is on currency management where the demand-supply gap is more. Cashless economy is good but infrastructure and bureaucratic hurdles have been roadblocks. Your comments? I don’t think there are bureaucratic roadblocks. The backend infrastructure has to be strong when there is a sudden jump in digital transactions. Demand for chequebooks has gone up by three-four times. So suddenly the capacity has to be planned for a certain number of chequebooks. And it takes some time to adjust to that. Same is the case with digital transactions. Before demonetisation, banks were pushing digital transactions for cost efficiency but there was inertia or resistance. There is an effort to upgrade backend infrastructure. Now there is an entire payment ecosystem with many players. Earlier, there were 1 lakh POS machine installations in a year, now in 45 days we have done 54,000. A service provider is providing and installing POS machines. The ecosystem is interdependent and all players will have to ramp up their capacities. The hinterland and the poor are very badly affected by demonetisation. So when do you think the situation will even out? After the Rs 500-note supply has been augmented, the cash situation has improved but the demand-supply gap still exists. So for smaller payments the replacement of cash with digital or mobile will take time but there is a big push from the government for this. India is a vast country of 1.30 billion people and the transaction flow is huge. By February-end the currency position would be such that there would not be a constraint. We are yet to fully exploit the power of the Aadhaar-enabled payment system, which once implemented will be much simpler to do transactions. Now it is the combination of reaching people, adjustability and availability of backend infrastructure. What is the challenge posed by payment banks to conventional banking? Payment banks are yet to take off in a big way. We have to understand the business model: how can you pay 7% interest on your accounts and keep that money with me at 6.5%? Honestly, I have not been able to understand the business model and from where the revenue will come. As far as threat to incumbent banks is concerned, most banks have invested huge money in strengthening this payment infrastructure and the number of transactions we handle through internet, mobile banking or e-wallets is very huge across the country. In financial services trust matters a lot. When people are giving money they are not just looking at convenience but also at safety and trust. On that front, banks score very high. In a competitive environment the revenue will not come from remittance business. Do you think that the current allocation of Rs 25,000 crore for banks per fiscal is enough to capitalise them in the short term? Banks have two types of capital requirements. Risk capital required for provisioning bad debts and regulatory requirements or NS requirements on account of Basel III implementation. If we are looking at capital for growth, the risk weighted asset growth is muted as of now. Capital requirement right now is coming only for provisioning and risk capital. At SBI, our internal accruals and capital given by the government are sufficient to fund our growth. If there is a good growth in risk weighted assets only then requirement for capital will be much more. For banks which have been suffering losses, the capital required may be much more than those banks where capital position is more satisfactory. This requires a constant review and your own capacity to generate internal cash and go to the market or the government. Going forward capital allocation has to be very efficient. With sophisticated models now being developed, hopefully, efficiency of capital use will also go up. Most micro, small and medium enterprises transact in cash. The sector has been very badly hit. How long do you think they will take to come out of the crisis? Yes, MSMEs have been impacted and their working capital requirement particularly will go up. Now we are having a reassessment of their working capital and if required we are open to giving temporary relief. We are working on a couple of proposals as we extensively interact with MSMEs and have tried to ascertain the impact and their requirements. The interest rate itself has come down by 90 bps and is a big relief. Second, as the PM said, minimum working capital provided will be 25% as against 20% of the turnover, and thirdly we are considering relaxation in the holding period for receivables on case-by-case basis. We do recognise that MSMEs will require some help and the bank has an open mind on it. Recoveries will depend on overall economic growth because many MSMEs supply to large OEMs [original equipment manufacturers], vendors, etc. So the demand from OEMs should go up. But MSMEs are always very vulnerable. As of now we have not seen any spike in NPAs. We are keeping a close watch on the situation. Last year, many accounts became NPAs whether it was large corporates’ or MSMEs’. This is nothing unusual as far as movement in NPA is concerned. Compared to December there is an improvement in the situation now. I believe infrastructure and consumption need boost from the government. We last heard that SBI merger with other banks has been pushed ahead now.